An internationally-recognised quality standard has recently been secured by Ferryspeed, making it the first amongst its competitors to achieve the certification. Ferryspeed is now accredited with ISO 9001:2015, a quality management system which allows the company to demonstrate its quality credentials – as well as bringing benefits for both staff and customers. ISO 9001:2015 was achieved through audits by the British Assessment Bureau, internal audits and a management review, which was attended by 25 members of Ferryspeed’s senior management. 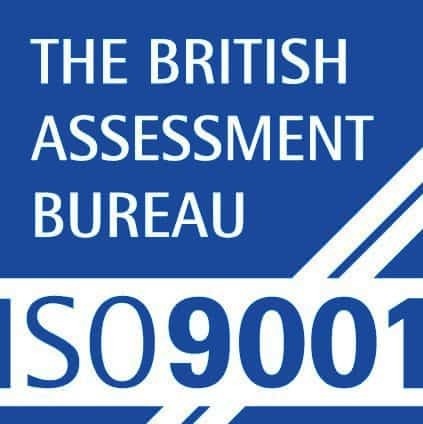 The implementation of ISO 9001:2015 was overseen by Myles Le Basse Fitton, Ferryspeed’s Group Compliance Manager, who said that it involved everyone in the business. “In order to achieve – and maintain – the ISO 9001:2015 certification, everyone in the company needs to engage with it, from those in the warehouse to the managers. “One of the key changes to come out of the accreditation process was the development of our intranet,” explained Myles. “It’s the vessel we chose to demonstrate our compliance and it allows us to pull everything together, to track issues and to log comments. “The intranet means that all kinds of forms and paperwork are now in one place, and it’s streamlined the number of processes within the company. Ferryspeed has many departments across multiple locations, so the new intranet provides a degree of commonality,” added Myles. ISO 9001:2015 is not a one-off award; every year surveillance audits take place which means maintaining and improving standards is a work in progress. Dean Sotnick, Ferryspeed’s Sales and Group Director believes that the ISO 9001:2015 accreditation reinforces the company’s position as market leaders in the Channel Islands. “Very few of our competitors have this version of this accreditation, so it strengthens our position as leaders within the industry,” said Dean. “We were already carrying out many of the processes required for ISO 9001:2015 and now we have the accreditation, it demonstrates the degree of our professionalism and reinforces what we do as a business,” Dean added. Most companies with ISO 9001 are accredited with the 2008 version; Ferryspeed is one of the few to have the latest 2015 standard.